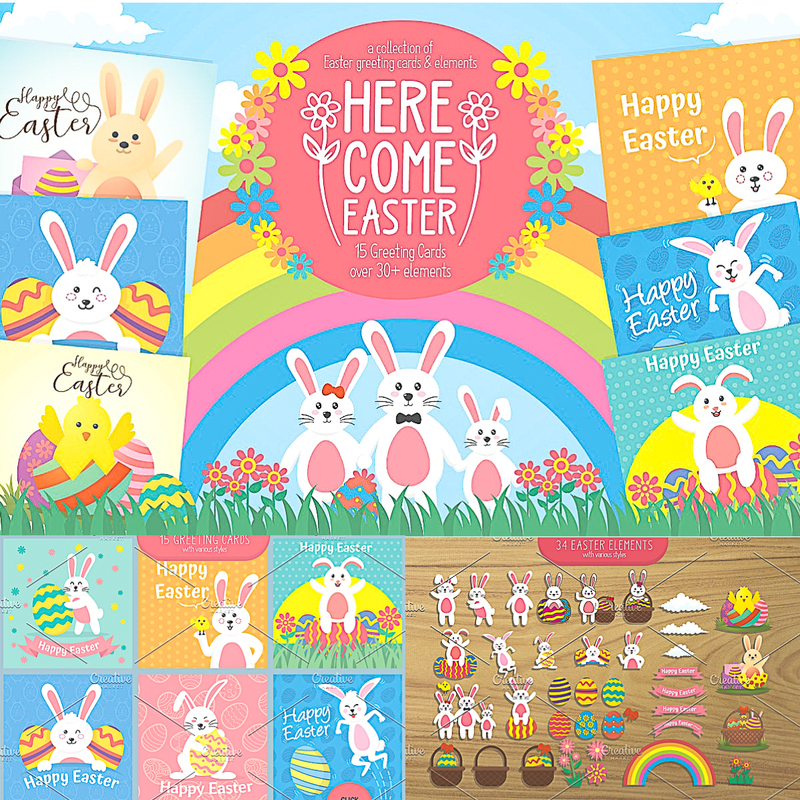 Introducing Easter greeting cards and elements with various styles. You will get : 15 Easter Greeting cards 12 cards in 21×21 cm & 3 cards in 21×29,7 in EPS (CS6), PNG and JPG 39 Easter Element in EPS (CS6), PNG, and JPG BONUS 19 Easter icons in EPS (CS6). Tags: background, cute, easter egg, egg, greeting card, happy, rabbit, rainbow.